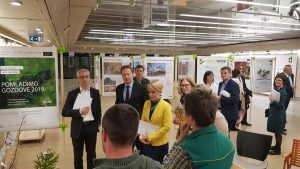 On April 4, 2019, the exhibition TRIPLE WOOD, which promotes the culture of wooden construction in Slovenia and wider in the Alpine macro-region, was presented at the Cankarjev dom in the frames of the Cultural Bazaar. The exhibition was part of a joint exhibition prepared jointly by the Ministry of Agriculture, Forestry and Food and the Ministry of Economic Development and Technology. 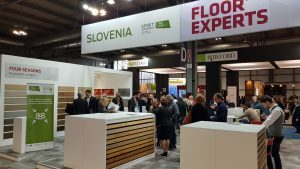 A total exhibition was also seen by Minister Aleksandra Pivec and Minister Jernej Pikalo. 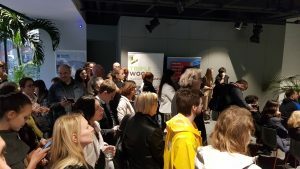 On April 5, 2019, at the opening of the Open Houses Festival of Slovenia (OHS), the Triple wood project was also presented. 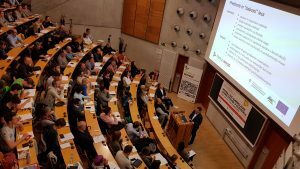 The OHS platform promotes quality architecture, including the use of wood as a renewable and sustainable material.